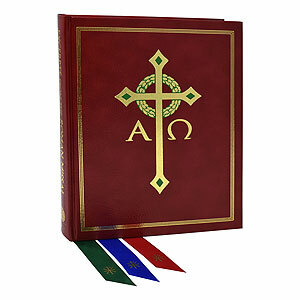 On February 1, 2018, Catholic Book published Excerpts from the Roman Missal. This publication, informally known as "The Book of the Chair," features the texts of the Roman Missal used by the celebrant while at the chair. 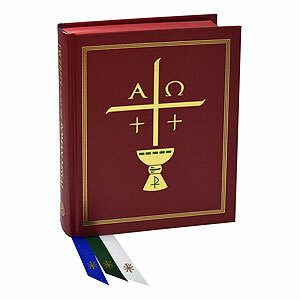 Approved by the United States Conference of Catholic Bishops, this slimmer companion text addresses the concerns about the weight of the Roman Missal. 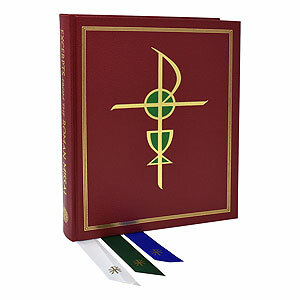 At roughly half the page count of our full Roman Missal, Excerpts from the Roman Missal will be a welcome addition to your parish liturgical library as well as appreciated by both celebrants and altar servers. Each of our three distinct editions affirms our nearly 107-year commitment to publishing excellence, with every copy hand-tabbed and subject to rigorous inspection by our staff, ensuring that each book meets our stringent quality requirements.